Once the water borehole has been drilled, Teckna Group will install a suitable water borehole pump and tank. This will be accompanied by ancillary equipment like auto shut off options, pressure vessels and water tanks if they are required. The quality of the installation of water boreholes is essential to its lifespan and functionality. Therefore, we only install reputable water borehole pumps such as Grundfos, ZDS & Lowara borehole pumps. 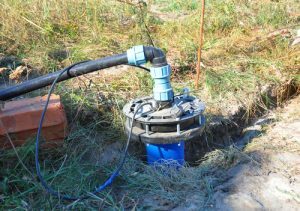 Although they may be slightly more expensive than alternatives, these high-quality water borehole pumps will last for years, making them the cost-effective choice. To minimise pumping times, storage tanks may be installed to reduce the amount of water required at any one time. The versatility of the tanks provided ensures that Teckna Group can provide a suitable storage tank for any project. Our water tanks can be made from plastic PVC or steel, holding form 1,000 litres to 20,000 litres of water. Teckna Group also offers a number of options for installation, filling and water draw off. When the water borehole is drilled and completed we will then install a suitable water borehole pump along with ancillary equipment such as auto shut off options, pressure vessels and water tanks as required. We only install reputable water well pumps such as Grundfos or Caprari pumps and systems. These may be slightly more expensive than other options but they have a long-standing reputable quality as water well pumps and will last for years if looked after. Water borehole pumps will be sized to suit the requirements of the client and take into consideration the maximum height from the well to final tap outlet to be pumped, pipe pressure losses over the length of the pipe with the pressure & flow required at the point of discharge. Storage tanks may be installed due to the amount of water required at any one time or for ease of use in minimising pumping times or restrictions. Whatever the requirements we can install tanks ranging from 1,000 litres to 20,0000 litres and can be from made of plastic, PVC or steel with varying options for installation, filling and water draw off.